Black Friday and Cyber Monday often offer customers some incredible deals at incredible prices. However, it often involves a lot of shopping around and hunting for products that are in stock or available. In order to attract more online shoppers and get customers through the door more stores are upping the ante this year and are offering more lenient price matching policies and a few have started price matching to more stores. Traditionally brick and mortar stores have been reluctant to price match to online e-tailers and more particularly online giants like Amazon. In the past most stores limited price matching to ads or websites from traditional retailers and would place heavy restrictions on price matching to anything online. This year Walmart is taking an aggressive pricing policy and reversing that trend. Earlier this month they announced they'd now price match Amazon.com and a handful of other online retailers. Finding The Best Prices: Try using price comparison websites like NexTag.com or even Google Shopping to find the best buys and gather your information on products and pricing. Another great source is social media sites. 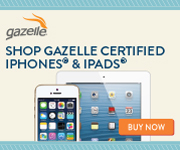 Follow your favorite stores to stay up to date on coupons and sales. These kinds of announcements usually happen first on social media. Watch for hashtags like #BlackFriday and #CyberMonday for special deals from your favorite brands. Do Your Store Research: Once you've found a deal you want and efore going in-store or calling customer service double check the store's price matching policy. All stores have them detailed on their website, though some may be a bit confusing. Walmart has their 'Ad Match' and 'Online Price Matching Policies'. The later explains exactly which websites they'll match prices to and offers clear stipulations as to the limitations. Gather Your Information: Most stores require printed copies of competitor ads or print outs of the webpage with clear product information and pricing. Do not go in-store unprepared to show this! In some cases they may be nice and allow you to show them the website. However, they generally don't have time! Verify Your Product Information: Before you head in-store make sure you verify that the item you want to buy is A) The same product and model numbers B) Not part of a Clearance, Closeout, Liquidation, Special Hour/Flash/Limited Quantity offers C) In-stock at the online retailer’s website at the time the request. Making Your Purchase: Once you are ready to head in-store before requesting your price match make sure you pick-up your item, re-verify the details from above and head to the cashier with your selection. You need to have all your information ready so that you can request the price match right at the register with your product in hand. What If They Won't Price Match? : Be polite but be authoritative just try not to be overly assertive or pushy. 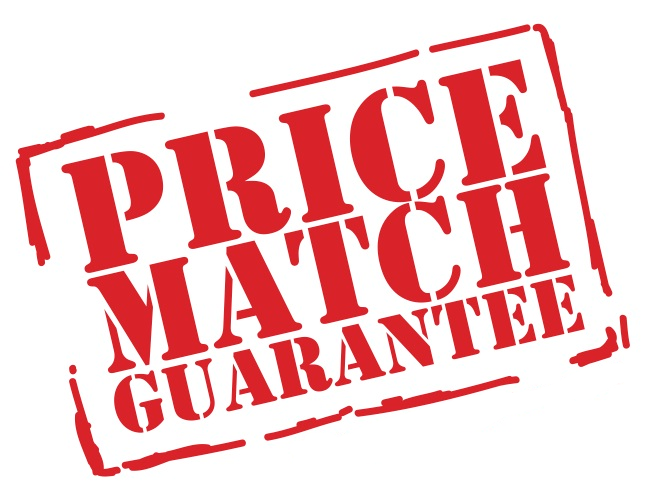 If the store has a question or there is an issue with making the price match remember that Management has the final decision for matching an online price. If you are friendly most the time they are willing to work with you and will be more receptive to you. If they absolutely refuse, try going up the food chain to another manager. If they still refuse the price match then you may want to try another time or another store. Once The Purchase Is Made: Don't forget the bargain hunting doesn't end once your purchase had been made. Many stores offer policies that extend for days or weeks after you've made your purchase. Don't be afraid to go back to the stores and ask for them to match a better price at a later date. With these quick tips along with a little leg work you should have a fairly easy Black Friday and Cyber Monday price matching experience. Just remember patience is going to be key and will certainly help out when you are in-store! Do you have any tips to help make pricing matching easier? Share your ideas with fellow shoppers in a comment below! 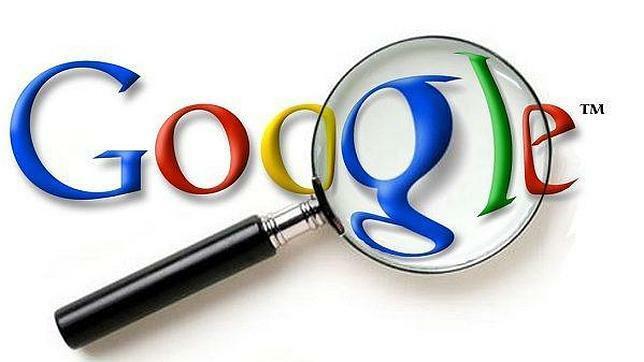 Have you ever wondered just how much information Google has on you and how you can remove it? Here are several of the links you can visit to help you identify what personal information Google has collected on you from its various services and site and steps you can take to remove that information. First up let me say I share most of the privacy concerns of the average person out there. However, I've been in the tech industry for a couple decades now. So I'm also very aware of how most sites and services use my own personal data and I'm not one that is overly concerned with what Google is doing with that information. Second, I'll say that for some of you the shear volume and detail of the information collected might be a bit of a shock. So brace yourselves! Before continuing you'll want to log into your Google Account as only then can you access any of this information or change the settings. Just remember that disabling some of these services may slow down things like search, or completely remove others like Google Now. Remove your smartphone location data: For some this might be a bit shocking but Google tracks a lot of location information based on where your smartphone is. For starters visit https://maps.google.com/locationhistory this will show the location history Google has saved.You can view your history, plotted on a map, from as far back as 30 days ago. Note: For greater privacy, you can also turn off Location Reporting, but this will keep apps like Google Maps from working properly. Remove your Google Search history: As you search Google the site collects your entire Google search history and remembers it to make future searches that much faster. For some this makes things a ton easier but for others it might be a bit intrusive. To view what is being collected and/or remove your search history you can do so by visiting https://history.google.com. You can also remove individual items if you want, or stop Google completely from saving your search history. Of course, this will also make it impossible for you to use awesome Google services like Google Now. Opt out of Ads: Tired of those seeing some of those targeted Ads? Luckily it is easy to Opt-out. Find out what Google thinks about you and view their basic profile of you, your age, gender and interests. They use this data to You can review how Google sees you here: https://www.google.com/ads/preferences/ with opt-out links listed at the bottom of the page. https://security.google.com/settings/security/activity. You can also remove device access and further secure your account by changing your password. For a full overview, as well as things like your recent YouTube views and searches as well as settings for other services like Google+ you can visit https://www.google.com/settings/accounthistory where you'll find links to all of the above and more! We've all been there, stuck sitting at home waiting for the service tech to come out because our phone, internet or cable hasn't been working. Often times we are held hostage with a 'service window' that generally runs between 2 and 4 hours with no option but to still and wait. Now it appears as though we may see some changes, at least for Comcast wait times. In Thursday blog post titled "Your time is valuable; we don't want to waste it," Comcast customer service chief Charlie Herrin detailed a new service that will give customers alerts 30 minutes before a technician shows up. This new feature, which will be available for free through Comcast's MyAccount app. This is how it works. Customers with scheduled appointments will be alerted through the App on their smartphone when the Comcast technician is about 30 minutes away from arriving at their house, and will be able to track this technician’s progress on a map. This means no more sitting around waiting, as you can check the tech's progress from just about anywhere. So you can run those short errands and still be back in time to let them in! Comcast also promises that if they are running late, which we all know all too often an happens, they will let those customers know that as well, and provide real-time status updates so they can plan accordingly. Currently the App and service is on beta trial for those customers in the Boston area. However, Comcast hopes that with their feedback they will be able to refine the service and get it up and running in other areas soon. Yesterday Nokia sparked everyone's interest when the company tweeted 'We're up to something', with a photo of a mysterious black box. Speculation quickly spread as to what the company might have up its sleeve for its first major product release since leaving the smartphone business. Today we have our answer as Nokia has announced the N1, the first Nokia-branded Android tablet. The N1 offers the innovative, predictive Nokia Z Launcher interface, and a carefully crafted industrial design by Nokia with a focus on simplicity. "We are pleased to bring the Nokia brand back into consumers' hands with the N1 Android tablet, and to help make sophisticated technologies simple," said Sebastian Nyström, Head of Products at Nokia Technologies, who announced the N1 at the Slush technology conference in Helsinki. "The N1 has a delightfully intuitive interface and an industrial design to match it. This is a great product for Nokia fans and everyone who has not found the right Android tablet yet." The Nokia N1 features a 7.9" 2048×1536 (4:3) IPS LCD with Gorilla Glass 3 laminated display. A 2.4Ghz Intel Atom Z3580 processor, plus PowerVR G6430 GPU. On-board will be 2GB of system RAM and 32GB of internal non-expandable storage. It will also include an 8-megapixel rear camera and 5-megapixel front camera. Apple Downplays 'Masque Attack' Security Vulnerability, Why We Aren't Buying It! Apple is downplaying the risks of a new security vulnerability in iOS that, thanks to security researchers made big waves this past week. The security flaw, dubbed 'Masque Attack', was first discovered and reported by security firm FireEye. Since those initial reports we've seen several posts and article detailing the new flaw and warning users of the extreme risks associated with it. In short 'Masque Attack' allows attackers to create a fake version of a legitimate app, which sits on top of the real app and siphons off data without the users noticing. The risks are legitimate ones and could potentially become a major issues for users both in the personal private sector and the enterprise level where data breaches are big business. However, the security flaw apparently isn't raising any eyebrows at Apple. In their response, released to iMore, Apple goes so far as to stating that the Masque Attack isn't really a flaw at all, and that it's 'not aware' of anyone who's actually been affected by the attack. Apple believes that since the the 'attack' requires the user to first follow a a link, then allow 3rd party apps to be installed by click past an iOS pop-up warning people about downloading malicious apps that users will be safe! Unfortunately if history tells us anything we know this simply isn't true! Windows and Android users alike have ignored these warnings for years. Not to mention these types of malware attacks are hardly new to Apple users, and in those cases we again saw users willing to overlook those warnings and install malicious packages to their OSX machines. It would appear as though Apple has some serious misconceptions about security and the ability of malware creators to to implement socially engineered and targeted attacks. Malware has always used legitimate looking emails, web addresses or other legitimate looking means to infiltrate an unsuspecting users machine. And yes in almost all cases it does require end user engagement to become installed. This is how malware has worked, and extremely successfully might I add, for years. Looking to cash in on the popularity of some of your favorite artists, Google and YouTube have launched a new paid music video streaming service that will offer users ad free steams, offline content and more. Along the new service YouTube has also made several music oriented changes to its apps and website. The new streaming service which will be launched in full in 2015 will be dubbed YouTube Music Key, and will be a monthly subscription service starting with the promotional price of $7.99/month (discounted from $9.99/month). The new services will offer subscribers ads-free music, background play and offline viewing. It will also include a subscription to Google Play Music (which is currently $10/mo on its own), with 30+ million songs, expert-curated playlists, and in the coming days, the ability to watch many YouTube official music videos right from the app. For now YouTube Music Key will only be available through an invite to its "biggest music fans", who can try out the beta version for six months at no charge, YouTube said in its blog. If you’re interested in getting more info on the beta, you can let Google and YouTube know at YouTube.com/musickey. Black Friday will soon be upon us, and wile most of us geeks will rely heavily upon our favorite sites and apps to ensure we are getting the best of the best deals out there. A new tool from The Wall Street Journal, of all places, will offer a new way at tracking deals and seeing what stores are offering the best pricing. As we well know stores adjust their holiday pricing on many items, especially online shops, at any given moment. This is where the WSJ Christmas Sale Tracker comes in. It will allow you’ll to be able to see when and where to get the best deals on the items tacked. It will also offer a chart showing recent pricing trend which will help give consumers clues about which chains are competing most aggressively for sales. According to the WSJ the tracker will collect prices once an hour from Nov. 1 through Dec. 31 to determine the best times to buy those products, how early retailers offer their best deals and how quickly rivals match lower offers. The Christmas Sale Tracker will also track availability of popular items and show when they are out of stock or unavailable, an important indicator to watch during the holiday season, when retailers can lower prices on a small selection of sought-after goods to draw shoppers to their websites. Unfortunately the tracker will only monitor a handful of the 'hottest' holiday items, so we can't rely on it for all of our Black Friday needs. But it should help provide a snap shot of which stores we may find the best deals at. For tracking other Black Friday sales we recommend visiting a few of our geeky favorites like: SlickDeals Black Friday Forum, DealNews, or FatWallet.com. For those looking for apps we suggest using the following: Sazze Inc Black Friday Ads (also on iTunes) or the FatWallet Black Friday App (also on iTunes). It is no secret that PC sales have slumped over the years and we are sitting in the middle of what many are calling the 'Post PC Era'. With more and more consumers and businesses opting to spend money on connected devices such as smartphones and tablets and staying away from tradition desktop and laptop options. However, lately we've seen that trend reversing and with the addition of Microsoft's new Windows 10 operating system, PC vendors are hopeful that reversal will become more widespread and sales will return to the positive. Higher demand for desktop computers in North America and Europe combined with the increasing popularity of lower-priced PC models meant that for the first time in years we saw the huge drop-off in PC sales came to a halt. Gartner reported shipments slightly increased 0.1 percent to 75.8 million units, while IDC found shipments fell 1.7 percent to 74.4 million, the Associated Press reported. Which while not exceptional showed promise as IDC said it had expected as much as a 7.1 percent decline. 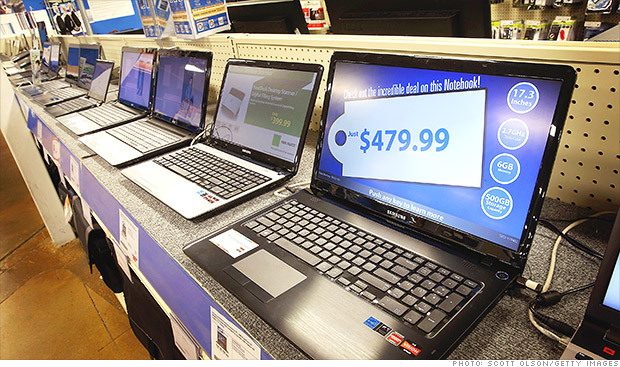 These flat-lining numbers left PC manufacturers optimistic that come 2015 PCs will be on the rise again. Recent commercial demand is improving as businesses face up to the need to migrate from Windows XP. However, we aren't seeing the levels rise along the usual trends as it seems that there's an uncertain future for Windows 8 in the commercial sector. With the recent release of the Windows 10 preview and its impending release, the big PC makers, including Lenovo, HP and Dell, are resting their hopes in the hands of Microsoft and the company's ability to lure those in the enterprise sector. Hardware makers have spent years waiting for companies to ditch their aging computers and to upgrade. Yet following the release of Windows 8 in 2012, and its total redesign, sales continued to slump as corporate clients seemed unwilling to upgrade to the new operating system with its unfamiliar look and feel. While new computers are noticeably better, and offer much more bang for the buck these day. There is still little to persuade consumers who are turning to phones and tablets for all their casual computing needs to upgrade from their dated machines. For many businesses that is even more true, with more enterprise level customers opting to extended the life of their slightly older machines in hopes of getting more for their money. Microsoft hopes that the new 'unified' approach it has taken with Windows 10 will help to offer consumers and businesses alike a reason to finally ditch their aging machines. Couple that with the complete and total end of support for Windows XP and upcoming end of mainstream support for Windows 7, Microsoft and PC vendors may finally have an opening to further the PC sales skid. What do you think? Will Windows 10 be enough reason for you to upgrade to a newer PC? Or will you opt for simply upgrading your operating system? Perhaps you don't plan to upgrade at all! Let's hear your thoughts with a comment below!